Failed experiment with coloring or a desire to radically change the color of already colored hair requires a complex operation to remover paint with curls. The best way to perform such a procedure will be a visit to the salon where professionals will be able to lighten hair. What is this service and what features it has? Wash hair at the salon is called pickling. 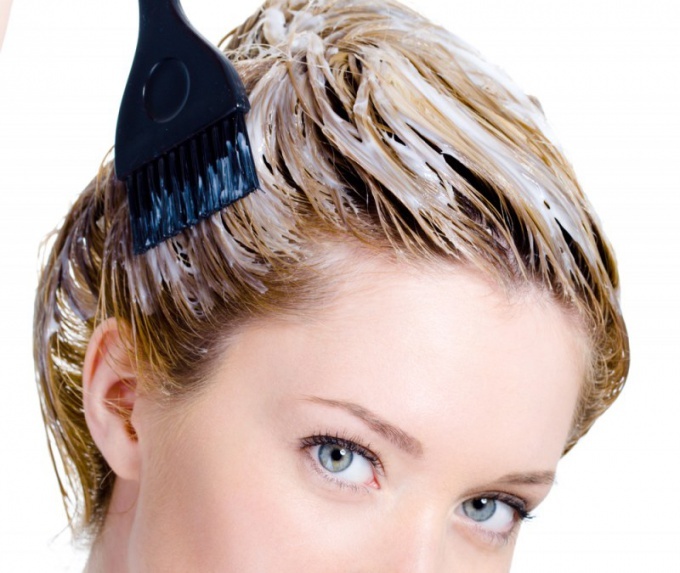 This procedure involves the use of professional products to lighten dyed hair. As a rule, with delaperouze you can make the curls lighter on the four tones. Pickling – what is it? The use of washes is required in some cases. For example, if the color after staining does not coincide with the desired shade. Getting unexpected colors is possible with the use of paint low quality fakes. Pickling need after hair coloring henna or Basma, including colorless. Remover can be used after Perm hair. After decamerone hair to acquire a yellowish or reddish hue, so the stylists suggest to dye or tint locks immediately after washing. Cabin paint remover helps you to quickly change the shade of hair, but for one procedure it is possible to achieve the correction of curls only a few shades. If you need more exposure to compounds on the hair, you will have to repeat the procedure of decamerone. But to do a wash again can be, after waiting at least two weeks. When you run the paint removers you need to remember that after the procedure, you will need to treat the hair, strengthening their masks, nourishing balms. To quickly restore hair after decamerone will help and the vitamins. 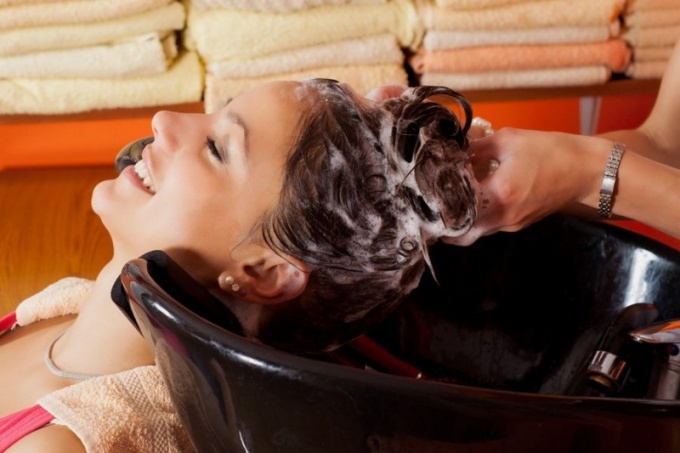 It should also be noted the high cost of washes – one treatment can cost from 2,000 rubles and more. It is noteworthy that the use of drugs to decamerone can at home. In order not to hurt the hair, better to go to a famous salon. Thus it is necessary to choose only professional brands for holding paint removers. Modern formulations do not contain ammonia, pigment removed from the hair gently and without discoloration. A delicate wash can be used repeatedly, with breaks between treatments. After washing you must wait at least one hour before starting the staining procedure. When using washes for the hair you need to start to test for an allergic reaction, as well as strictly follow the instructions. Before pickling to wash the head is not necessary, it is desirable to distribute a solution just for the painted areas. There is a deep and surface water used for levelling tone of hair or minor adjustments of color. If you badly dyed hair, don't despair. Cut them at the roots is unlikely to be a good idea. Rinse black dye from hair is difficult, but nonetheless possible. There are several ways to wash black paint. Should be approached very responsibly to this procedure since its result depends the health of the hair. Ask for help to the professionals. You consult experienced specialists and will advise you that is right for your hair type. With a special jetting funds you withdraw paint from the hair. To expect absolute effect not followed, but gradually you will be able to return your hair color. Service remover paint hair you can get almost any beauty salon, but it is not cheap. But the result will be visible on the face. If you don't have enough money to afford a beauty salon, then at home you can easily handle yourself. Buy a wash at the store. It is best to choose high-quality and well-known brand that you trust. Followed the instructions, go through the procedure. Remember that it is very stressful for your hair. For once you can lighten your hair only 1-2 shades, but often use a jetting tool, because it spoils your hair. There is another method that will allow you to get rid of black hair in the home. Wash your hair the usual way for you. Then, lather the hair soap. Hold it for a couple minutes, then rinse. Already during rinsing, the black color will start to clean up. After this procedure, be sure to apply a nourishing hair balm. Many stylists and hairdressers advise to use soap when you wash of black paint. From the durability of paint depends on how well you will be able to wash it off. Modern cosmetology allows you not only to get rid of small flaws in the appearance, but also to change their image almost every day. Persistent staining can be done from blonde brunette. If you want to lighten dyed black hair, will have to Tinker a little longer. If you immediately try to change the color, it will cause great damage to hair. Therefore it is better to get rid of black hair in several stages. Apply wash hair is better on dirty hair. Mix the first and second vials, and then use the brush for painting, apply the mixture starting from the back of the head. If possible, avoid touch of the scalp and do not use a wash in areas where hair has natural shade. Now put on the hair pack or a disposable cap. Leave the mixture on your head for 20 minutes. Don't forget to periodically promyat hair. After 20 minutes, rinse using large amounts of hot water. Now make a test on a small strand. Put the Converter and wait 5 or 7 minutes. If the color strands are not changed, which means that the paint safely washed, and you can apply it to all the hair. Otherwise, you will have to repeat the washing procedure one more time. To remove neutralizer from hair with shampoo. Rinse the head several times. After wash hair with ugly reddish hue. So just better to paint them in desired color. To start staining better at least 40 minutes after washing. Don't forget to treat your hair with masks and balms. Washes and staining of dried hair, and also violate their structure, so they often apply them is not recommended. To dye hair of women learned in the days of Cleopatra. Since that time, paints have changed their composition dramatically, a host of variants including various additives for the care and feeding of hair. Initially hair coloring was used henna, Basma or other components of plant origin that not only changed color, but also fed the structure of the hair, strengthen it and rejuvenated. In the early 20th century was designed by dye to change the hair color on the basis of ammonia, which quickly took a leading position, and soon completely replaced vegetable dyes. But the composition of such funds is very aggressive, its effectiveness is based on the effects on the structure of the natural material, which is hair and which is very difficult to recover. Dangerous ammonia fumes that get into the human respiratory tract during the procedure of hair coloring. Yes, and on the scalp some of those who use the products based on it, the ammonia leaves burns. Manufacturers of decorative cosmetics this problem, of course, bothered no less than their clients, and they, after years of research and experiments, still unable to develop hair dye without ammonia. Shampoo coloring preparations are based on pigments of plant origin, they can be used often-even after perming and bleaching the hair. They include not only substances that change hair color, but the plant extracts (birch, grapes, walnuts, oil, and extracts of them, complexes of vitamins that nourish, moisturize and restore the structure. Those who have not yet had time to try something new, of course, concerned about how shampoo quickly washed away the paint from the surface of the hair. In contrast to his aggressive predecessor, now the paint does not affect the structure of the hair, it only changes the color of the surface. Paint on the basis of the ammonia penetrates into the depth of the hair, lifting his scales, that is, destroying it. Substance gentle products coat the hair and fixed on its surface with the help of hydrogen peroxide, the content of which is so insignificant that in no way can cause harm. On the surface, the pigments are held for 5-6 weeks, but their color fades with each shampooing. Unfortunately, all that has its merits, has its disadvantages. Was no exception and shampoo and hair dye, but its disadvantages are so insignificant that are simply not able to outshine its pros. For example, if you want to get rid of the bleaching powder paint from a gray hair, will need to do this in several stages. In addition, this tool is more expensive than the dye based on ammonia. But when you consider the fact that the structure of the hair will not be damaged, such costs are completely justified.